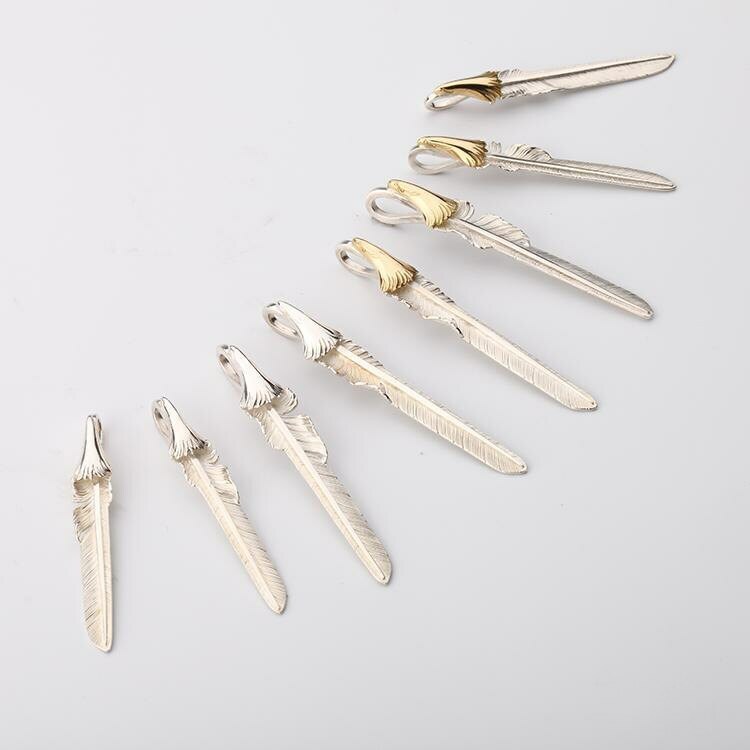 The silver feather pendant is crafted in a distinct slim profile, with a bold sword-like shape. Eagle feathers are important in the Native Indian lore - they are symbols of strength and wisdom. Only the deserving get to wear the eagle feathers in their headgear and dress. 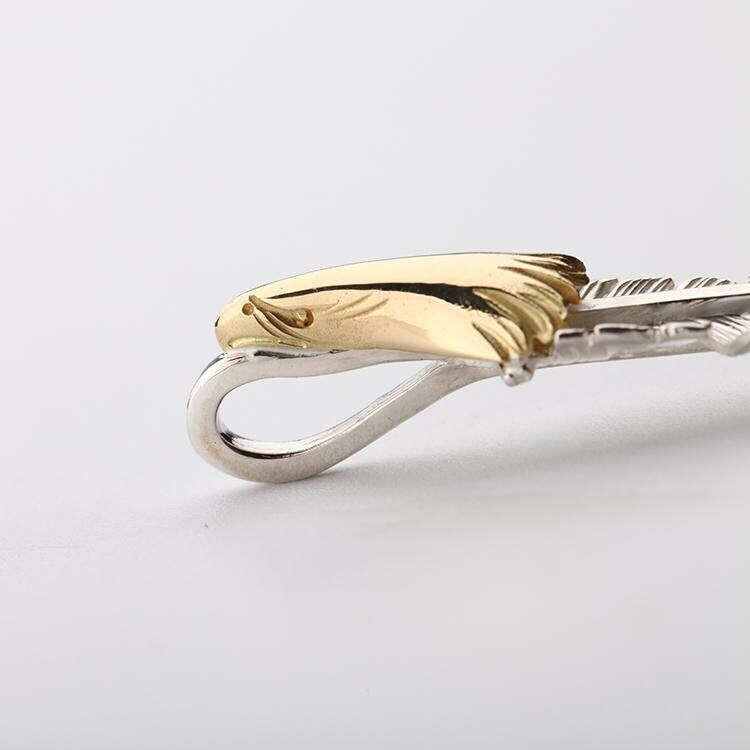 This silver feather pendant is a tribute to the free spirit of the eagle. 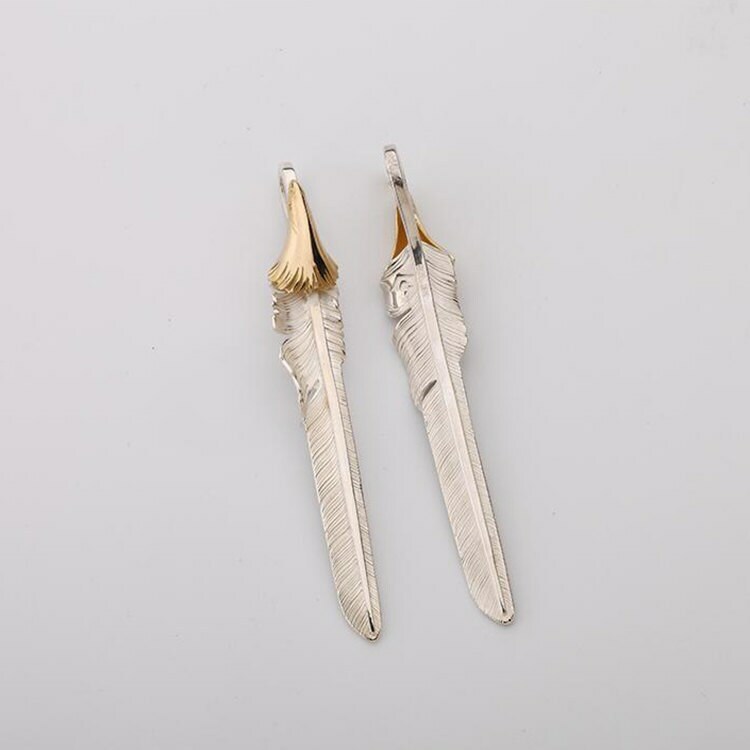 Each feather is crafted in great detail with realistic features. 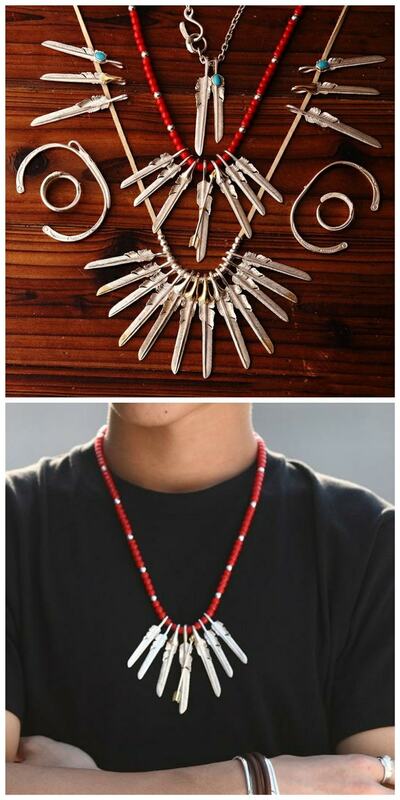 The quill of the feather is shaped into an aperture, which takes the silver chain for the necklace. 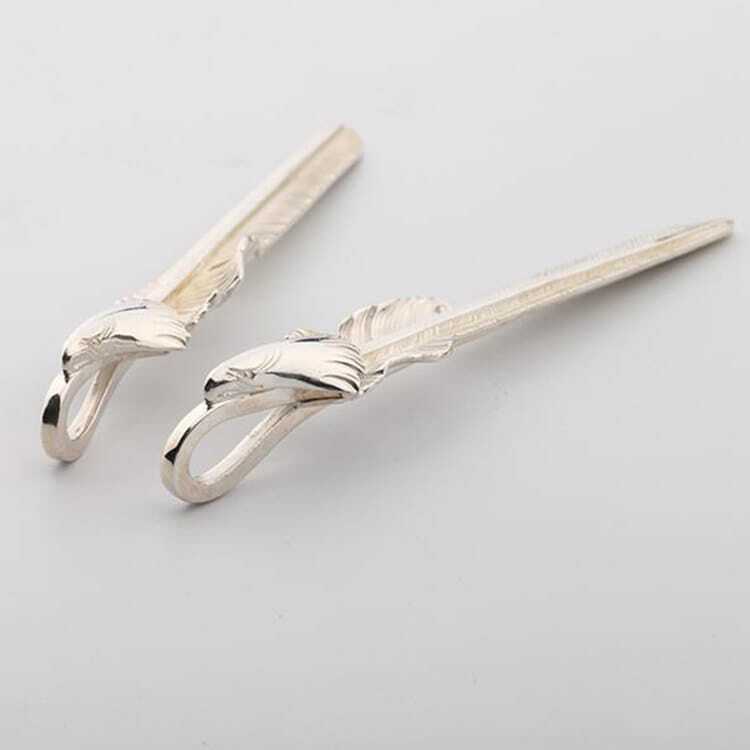 A finely crafted eagle head - in silver or 18K gold - is attached to the quill of the silver feather.